The smells of freshly baked bread, meat, spices and pastries flow through the streets of Iran. Neighbours, family and friends sit outside of their homes cooking, laughing and greeting each person that walks by. That is what Samiramis Kia, an Iranian filmmaker who now resides in Canada, misses most about being back home. 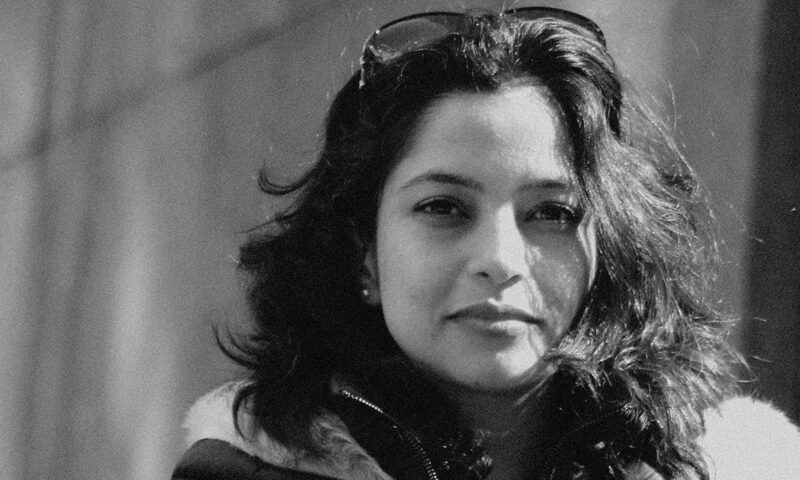 Kia was one of 14 filmmakers whose work was showcased in the Diaspora Film Festival (DFF) at Ryerson’s Library Building and Carlton Cinema this past weekend. Her short film, Land, tells the story of an Afghan man’s integration into a land that is not his own, and how he finds his voice in a place where people speak a different language. Since 2001, DFF has showcased works of emerging and established Canadian filmmakers, with a specific focus on those belonging to racialized or ethnic communities. The festival’s objective is to screen films that capture the diasporic experience, exploring migration, identity and intercultural exchange. This year’s theme is Promised Land, which according to Shahram Tabe, the director of DFF, focuses on the migration of individuals between the North and the South. He added that DFF strives to bring different cultures together to end stigmas and promote diversity. “What we are trying to do is get different cultures, different ethnicities to come to the festival and watch (films) with not only (people) from their own culture but from other cultures too,” Tabe said. Tabe emphasized the significance of education and exposure to other cultures, in order to achieve tolerance and understanding. “That is only possible by showing different cultures to each other and to help them understand that having different values is not better or worse than having other values,” he said. 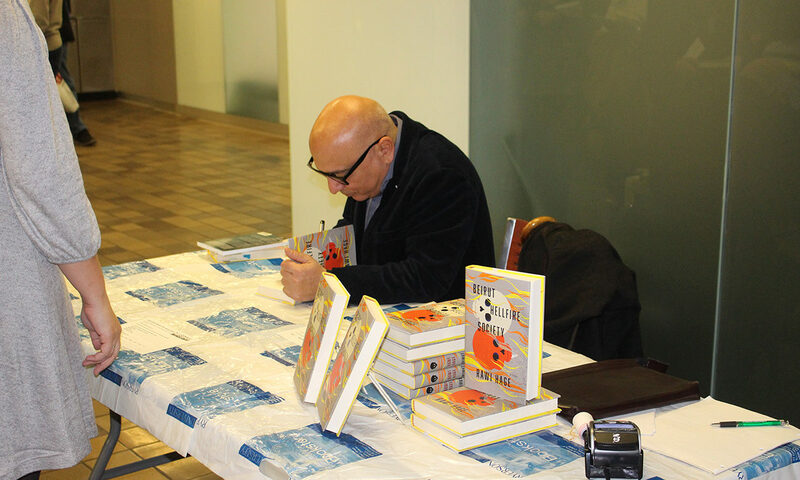 Ryerson’s Middle East and North Africa (MENA) Studies Centre was one of the partners of this year’s festival, which opened last Thursday with a reading and Q-and-A from Rawi Hage, the author of Beirut Hellfire Society. Hage is a Lebanese-Canadian writer and photographer whose most recent fiction novel tells the story of an atypical young man named Pavlov, who’s approached by the Hellfire Society — a group that arranges burials or cremation for those who have been outcast or rejected from society for various reasons, such as homosexuality or atheism. The novel is set during the Lebanese civil war, which Hage, at one point, lived through. Kia, Tabe and other members of the community gathered on opening night at Ryerson’s Library Building, where the main topic of discussion was identity and language through migration. In his novel, Hage also focuses on the idea of a society that cannot reconcile various contradictions within itself to reflect the current situation surrounding identity in the Middle East. “There’s no collective identity. There’s no consensus of what Lebanese is,” he said. Tamim Aoude, a Toronto Film School alumnus and Lebanese-Canadian, also attended DFF’s opening night. Although he’s Lebanese, he grew up in Kuwait and went to a private school where he had the opportunity to learn English from an early age. Aoude never had to face the language barrier when moving to Canada. Instead he found that he’s actually lost some of his native tongue. On Kia’s own journey to Canada, she said she faced many challenges. One of them was dealing with an identity crisis, while trying to feel at home and establish a new life for herself in a foreign country. DFF highlights important voices and stories and it’s an opportunity to experience cultures through the medium of cinema. Oh, I love this comment about the director of Diaspora Festival: “What we are trying to do is get different cultures, different ethnicities to come to the festival and watch (films) with not only (people) from their own culture but from other cultures too,” Tabe said. We think you should too!